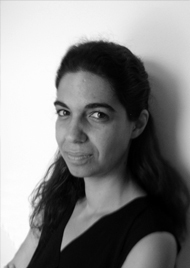 Evanthia Dova graduated from the School of Architecture, Faculty of Engineering of the Aristotle University of Thessaloniki (AUTh) with distinction (1998) and holds a Master of Architecture (MArch II) from the Yale University School of Architecture (2000), with scholarships from Yale University, the Michelis Foundation, the Fulbright Foundation, and the L. Voudouri Foundation. She is a PhD candidate at the Aristotle University of Thessaloniki School of Architecture (exp. 2018). She has worked on award-winning projects in architectural offices in both Greece and the U.S.A. and has participated in educational and research programs, exhibitions and conferences in Greece and abroad. In 2001-2010 she was an adjunct lecturer at the AUTh School of Architecture, and in 2007-2008 and 2009-2010 at the School of Architecture, Technical University of Crete. In 2010-2012 she was a member of the Pafos2017 Working Group, preparing the candidacy of Pafos as a European Capital of Culture, and, following the bid’s success, she has worked on a number of events for Pafos2017.